Even though the term was coined in as early as 1959 by artificial intelligence pioneer Arthur Lee Samuel, machine learning, as a coveted technology, has caught the attention of business ecosystem only in the past few years. 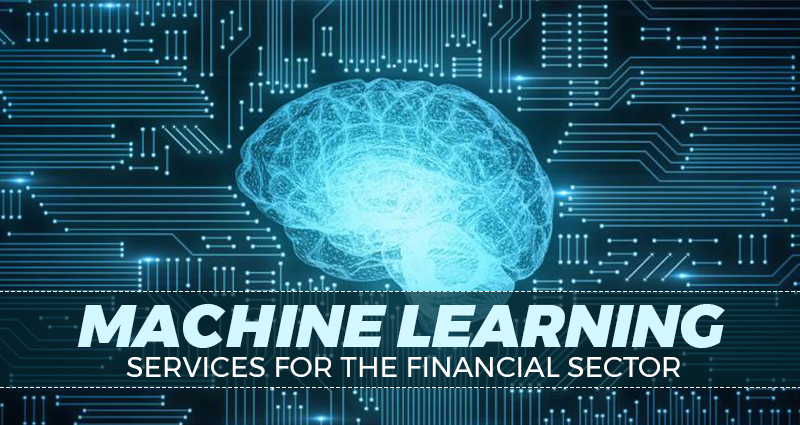 With machine learning algorithms becoming more and more stable and advanced, and the technology’s reach becoming more widespread, the financial sector has also warmed up to the many opportunities machine learning services bring to the table. To begin with, the financial sector has always been driven by complex algorithms. But what machine learning does is, it brings sophistication to the existing statistical models. By eradicating the need for a linear approach to modeling, machine learning and its neural networks improve the accuracy of the algorithms incrementally. As a result, there are several aspects of finance which are receiving significant benefit from machine learning. Getting a competitive edge on merger and acquisition opportunities is one example of the same. Another use case could be using natural language processing models to understand the content of thousands of financial documents a firm may be storing. While the human workforce may not be able to keep tabs on all the documentation, machine learning models would automatically know when a clause gets activated by some outside event. Risk management services could witness a complete overhaul through machine learning and computer vision. Similarly, there are many other ways through which an organization can extract previously unrealized benefits from the data it stores. Machine learning services can help financial firms to not only gain a competitive advantage but also to reduce unpleasant surprises or the possibility of crises. But, the important thing to remember is that to get a true competitive edge, financial firms need to use machine learning creatively in a manner that other companies are not even thinking of. This is where bespoke machine learning services come in. By using algorithms tailored to your particular needs, you can use the informational edge to beat the market. To be clear, the role of the human financial advisor will continue to be important. But, there is a lot that can be achieved when you move beyond simply compiling data into spreadsheets. By using machine learning services and freeing up human resources from menial or repetitive tasks, financial organizations will be able to use their workforce for jobs that actually require a human touch – for example, signing up new customers or calming down a client when the market is crashing. Machine learning services can help financial firms to turn adverse situations to their advantage and always stay one step ahead of the competition. If you are also looking to ditch the spreadsheets and increase your profitability, get in touch with us here.